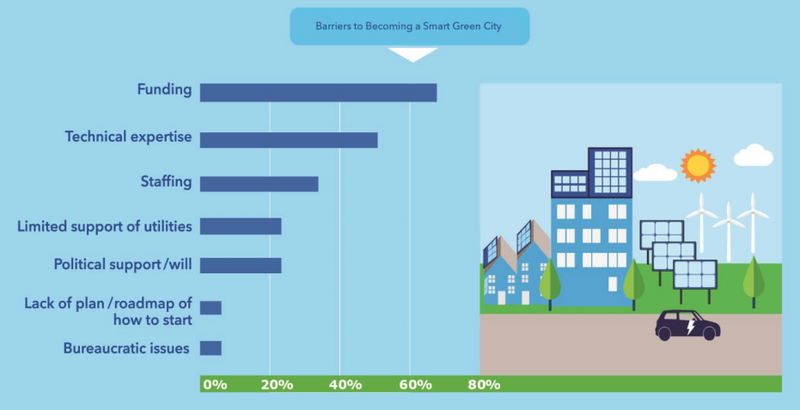 DNV GL Smart Green Cities Report, 2015, based on interviews with cities across the U.S.
Model ordinances for planning and permitting are one of several crucial policy approaches that will accelerate the transition to a clean energy future driven by Advanced Energy Communities (AECs). Municipal building and planning departments are on the front lines of the push to implement AECs. Model ordinances could help more municipalities ensure that clean energy building improvements happen at specific intervention points. The PAEC team developed a methodology for prioritizing a set of model ordinances for further development, and associated recommendations for local government interventions in both existing buildings and new construction. Working with key stakeholders, the team identified AEC ordinances of interest that can be scalable to other cities in the county and statewide.